This new interview shows a lot of things to me and you will see them too: it is with Juan Alberto Lopez Uribe, with whom we have never met in person, but we have collaborated perfectly online! Juan created a video for our children at our school – we all adored it. The power of connecting on social media! I really appreciate Juan as an educator and human being, as he has so many ideas and is a great sharer. 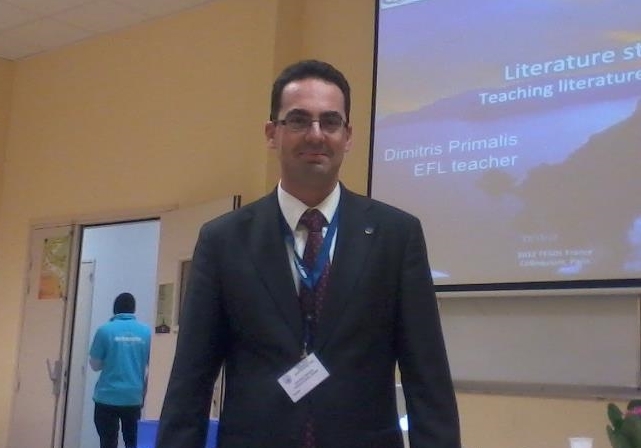 Juan Alberto Lopez Uribe is a teacher and teacher trainer based in Canada, whose passion is the affective learning of English by young learners. He is interested in learning, sharing, and discussing how the integration of play, creativity, and student engagement promotes language learning. 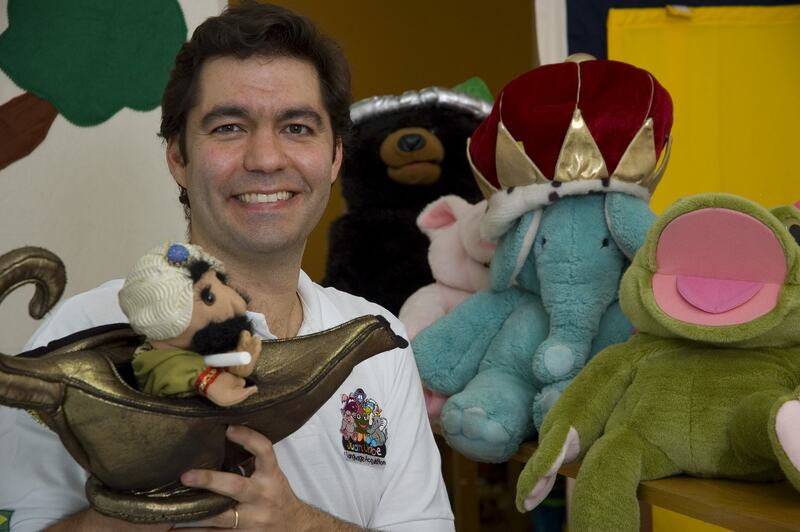 He founded together with his sister Sosô Uribe a language school for children, Juan Uribe Ensino Afetivo, where children learn English affectively through play, projects, games, storytelling, and puppeteering. Juan has a Bachelors degree in Pedagogy from the Catholic University in São Paulo (PUC-SP) and he holds a Masters in Education in the area of Human Development and Applied Psychology from OISE at the University of Toronto. He writes a blog called Children Learning English Affectively and moderates a facebook page called Affective Language Learning. A huge obrigada from me, Juan! Vicky: Juan, first of all, I would like to thank you very much for accepting to give me this interview. I am so happy as this is one more collaboration between us – we had another last Christmas, with the video you made for our school and our kids loved! Juan: Vicky, it’s my great pleasure to be here chatting to you and your readers. It’s very true that we have had a lot of learning, sharing, and fun in our exchanges. I have a cup of tea and my two dogs by my side now. Let’s chat! Vicky: Fantastic! Tea is one of my favourite drinks. Let’s start with how you became an educator. How did the world of education attract you? Juan: That’s a good question. I have had great teachers and have always enjoyed learning, especially languages. 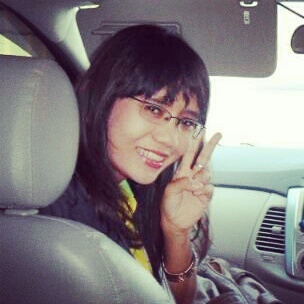 At first, teaching English was a fun way I found to pay for my travelling, doing something that I was good at. But what really made me stay in education was the possibility of being with children, seeing their development, creating a methodology, and running my own language school at the same time. Vicky: You are an expert in teaching Young Learners. How did you become interested in this particular field? Juan: I think that I was first involved in education when I was a child and I had the dream of having somebody come to my house and teach me English while I was playing with my playmobil. This fantasy stayed dormant until I was teaching at a language school and got invited to teach English through play to André, who was four years old at the time. Some years later I was already only teaching young learners, which led me to quit my Engineering course and start Education at university. I find it very fascinating to study and observe the social, emotional, and cognitive aspects involved in how children learn. I am particularly interested in how play, creativity, and respect boost both their self-esteem and language learning. I’m always learning and discovering new techniques and concepts that allow me to see their learning from a new perspective. I think it is beautiful to have been able to grow in the same field even after so many years. Vicky: Speaking of play and creativity, you are doing absolutely amazing work with puppets, and especially one puppet, with which you also make amazing videos – can you tell us more about this special guy and the videos? 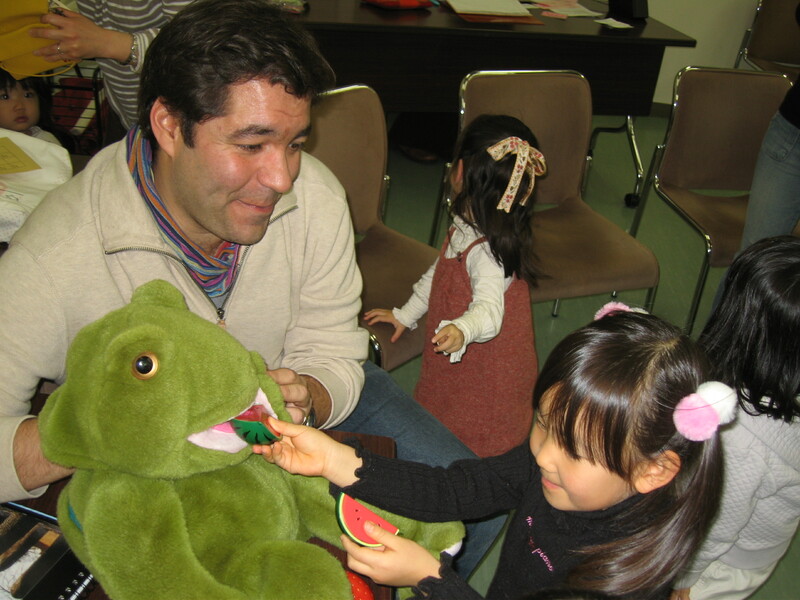 Juan: I have a chubby frog puppet called Buddy, who is a big friend. Buddy has been a companion in my classes and school events since 1994. More recently, we started travelling to interesting places and filming what we experienced as a way of showing the world to children. Buddy and I have shopped for clothes in Egypt, relaxed in parks in France, explored Macchu Picchu in Peru, and eaten Sukiyaki in Japan. I always also try to get him a traditional outfit from the country we are visiting. I have made lots of friends because of Buddy. 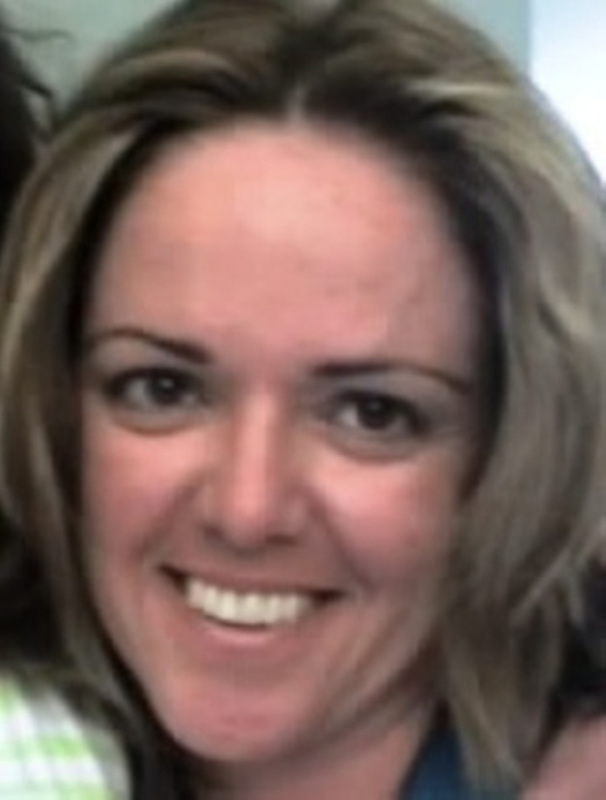 Last I have to thank my patient wife Ana Luiza for filming me and helping me edit the videos. I like Buddy goes Ballooning! Vicky: This is actually one of the first videos of you and Buddy that I watched! I love it. Apart from teaching and tarining and travelling the world with Buddy, you also own a language school in Brazil, Juan Uribe Ensino Afetivo – can you tell us more about it? How it started and where it is today? Juan: Back in 1994, my sister Sosô and I started Juan Uribe Ensino Afetivo with the dream of creating a language school in which children acquired English playing . We taught around 20 students in their own homes and we had over 300 books, puppets, and games in our bedrooms at our parents’ apartment. Almost 20 years later, we are now teaching around 250 students both in their homes and also in small groups at our lovely school, where we have seven beautiful classrooms. I am proud to say that the students, parents, educators, coordinators, directors, and all the staff have been able to create together a truly remarkable school. I get very happy when I get e-mails from students, parents, and staff telling me how special it is or it was to be part of our school. This very same school, which one day was just a dream. Vicky, you probably know how much I miss it, as you also had a school in another country. I am very happy that you and Gina have founded The Loras Network in Zug! Vicky: I truly understand how much you miss it, Juan! Thank you so much for your support and kind wishes! I also wish you the very best in everything you do. I hope to visit your school some day! Another thing you do is you also blog. I love the name: Children Learning English Affectively! Can you let us know what inspires you and what you write about? Juan: I love writing and sharing about how young learners learn languages, as this focused practice allows me to relive, organize, and make sense of what I have experienced with them. All my posts have affect as the thread that links them, making an interesting patchwork on how play, creativity, and respect can boost language learning. I usually integrate theory and practice in my posts so that teachers can be aware of how and why learning happens. I particularly like to write about the small details that might not be noticed by many, but that when put together make a big difference. I also intend to stitch all the posts together as a book in the future. Vicky: Wow! A book. That sounds so interesting, I am sure a lot of people look forward to it. Let’s move on to more things about you, for instance your new home. You live in Toronto. What do you like about living there? Are there any challenges? Juan: I immigrated to Toronto in 2010 with my wife and a little dog. Even though we are in one of the most thriving cities in the world, I like that life here can be simple. We live one block from the beach and we take our dogs for a swim in the lake once a day. I also enjoy very much living the seasons, which is something I couldn’t truly experience in Brazil. Immigrating to a country has brought us many challenges, which have also been fun because we are always learning. Even though we have been here for three years, we still do not know how many things are called and what we are supposed to do in some situations. Even hammering a nail was once a challenge here, as we had to find the stud behind the drywall. Professionally, my challenge has been finding opportunities to work exclusively with young learners, as I haven’t found language schools for children. Vicky: There’s a good idea! I am happy you feel comfortable in Toronto, my hometown. How did I meet you, from Brazil and now living in Toronto? You are very active on social media, and that is how we initially connected, in fact. How do you think it can help educators? What are the pros and cons you see for yourself? Juan: Social Media certainly helps us to connect, share, think together, and collaborate with educators who share the same values. I find this digital communion to be simply beautiful as educators from all over the world empower each other through their listening, validation, and dialogue. I usually alternate periods of being active and non-active in social media. I feel that I get overwhelmed with so much information and I feel that many times trying to keep up with what is happening can be stressing. But then, after some time I miss all the buzz and I come back. I have had the chance of meeting, chatting, and learning with many great educators around the world. It’s also a real treat when we are able to meet each other personally! Vicky: It sure is and I hope we meet in person soon! Would you like to close our interview with a piece of advice, or a wish to the educators reading your interview? Go after what you truly like. See the person inside your students. Be yourself. Reflect about your work. Share it with the world. Leave your mark! I would like to wish everybody a very rewarding journey! Juan and Buddy with their little friends! Our Poster Post with Maggie! During the holidays, I spend a lot of time with my sister and her two children, Maggie (seven years old) and Nicholas (three). 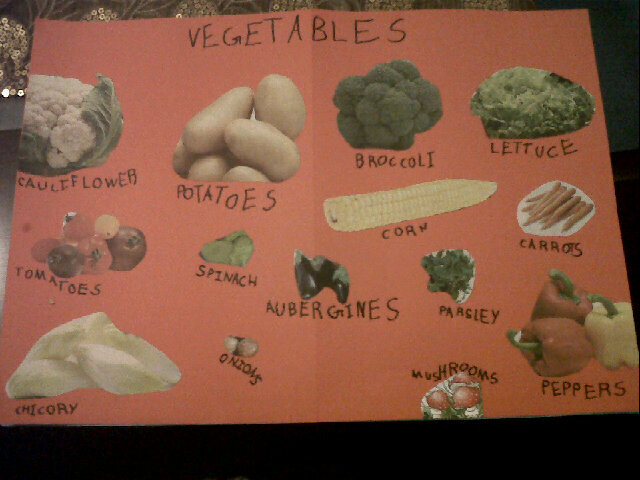 Maggie and I love doing activities together: writing, sticking, cutting, creating…so one day, during our Christmas holidays, we were talking about healthy eating and we decided to put our learning into pictures, make our learning visible – so we made posters, one with vegetables and one with fruit! Just using simple things, old newspapers and magazines from where we could cut out pictures, scissors and big pieces of cardboard for the background – we had so much fun learning and creating. Maggie was so excited about it! We looked through magazines and newspapers to find pictures, cut them out and paste them onto coloured paper. 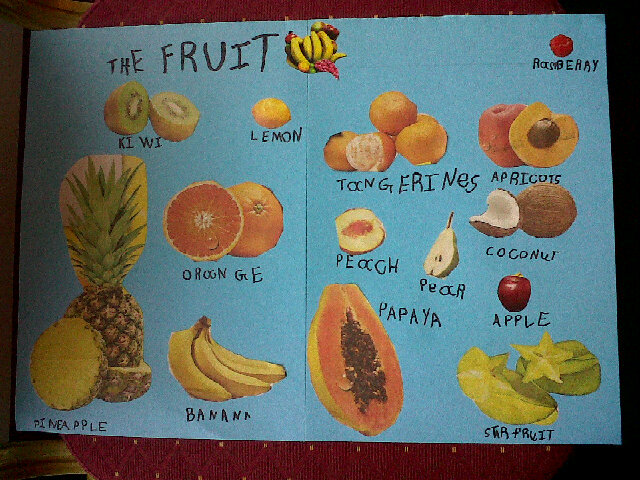 Maggie also wrote the names of the fruit and vegetables, learning some that she had not heard of, like starfruit which we also saw at the supermarket a few days later. We also had two great people cheering us on throughout the way: Mieke Kenis from Belgium and Ann Loseva from Moscow to whom we tweeted pictures of our posters! Ann made beautiful posters with her two sweet nieces, Olya and Polina! 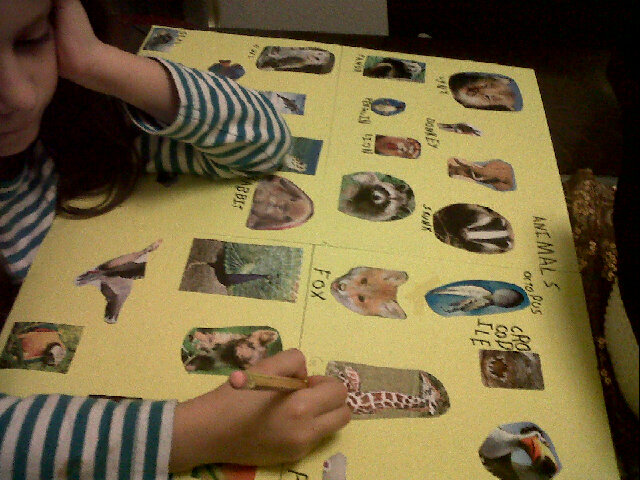 The poster with animals we started after fruit and vegetables – Maggie wants to be a vet when she grows up!